Today’s discussion is sponsored by Procter and Gamble. As always, all opinions are my own. Do you ever feel like the laundry never ends? We’re a family of five now and I sometimes wonder if there are other people living in the house that I haven’t met yet. Seriously, it’s always something! Baby clothes with spit up, muddy clothes from soccer, wet clothes from swimming, I could go on and on. Not to mention the fact that my kids like to change 8 times a day and I’m too tired to try and figure out what’s really clean and what’s dirty, so it all ends up getting washed anyways. 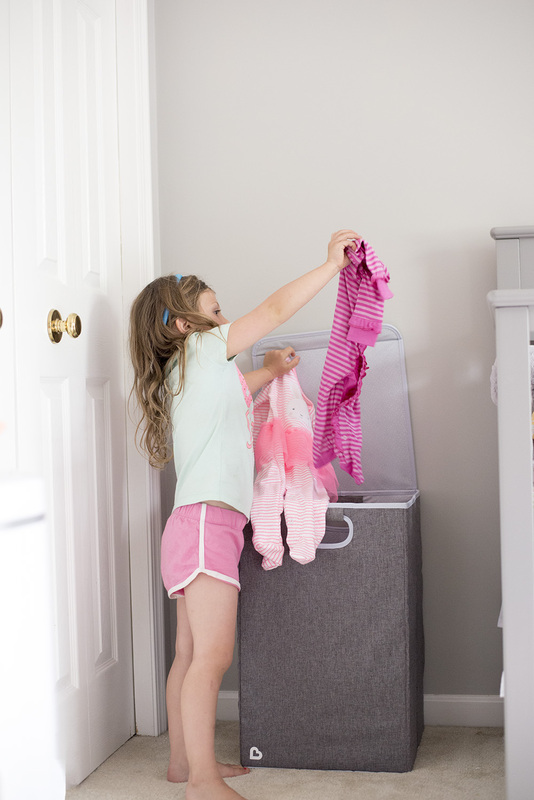 But over the years, we’ve implemented a few ways to make doing laundry easier. Because no one wants to spend all day everyday doing laundry right? Everyone gets a laundry basket + bonus baskets: Each person has a laundry basket in their room, that’s a no brainer. But I also leave a laundry basket at the top of the stairs so that miscellaneous laundry can find its way into the basket, instead of being left on the floor somewhere or behind a door. This encourages my kiddos to actually put it where it’s meant to go! When it’s time to do laundry, I collect all the laundry from their rooms and dump into the basket on top of the stairs. And off I go! 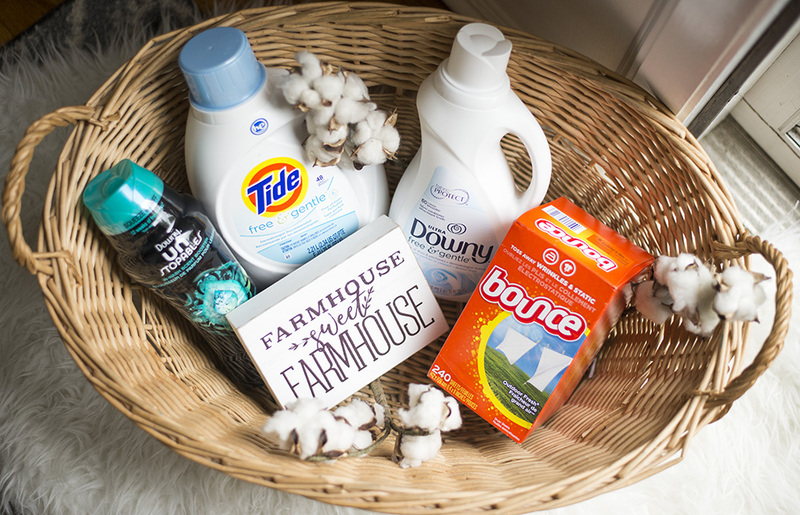 Stock up on laundry essentials: Having all of the laundry essentials I need at all times helps make it easier to stay on schedule and get it done. 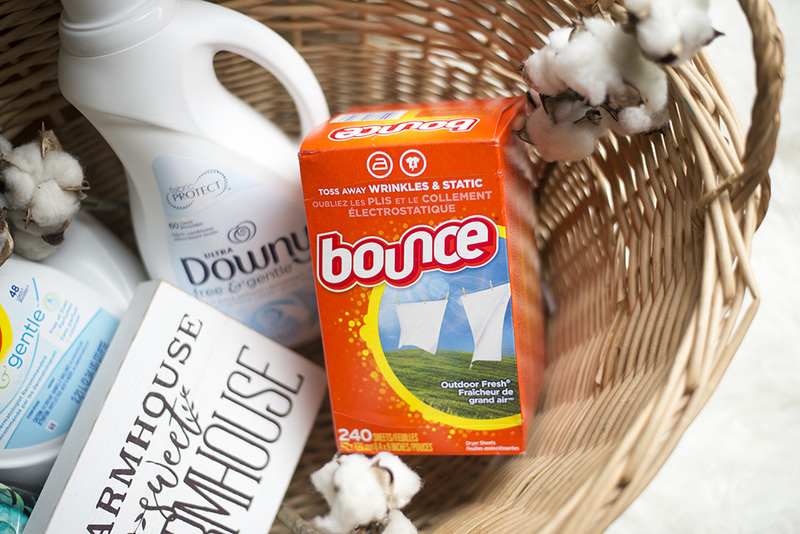 Your favorite P&G products like Tide, Downy, Unstopables, and Bounce are now available at Big Lots and for amazing prices! All of these products are better together so I like to make sure I’m fully stocked and never run out. You can grab this bottle of Tide for only $10 and do up to 75 loads with it. Such a great deal! 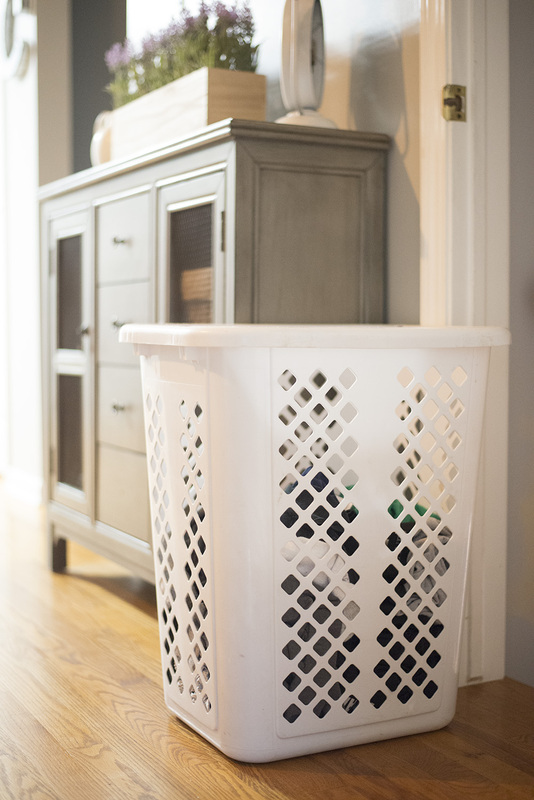 Pre-sort laundry: Grab different baskets to keep in your laundry room so that your laundry is already pre-sorted when it comes time to do it. That’s one of the most tedious parts of getting the laundry started so you’ll be ready to roll when the time comes. 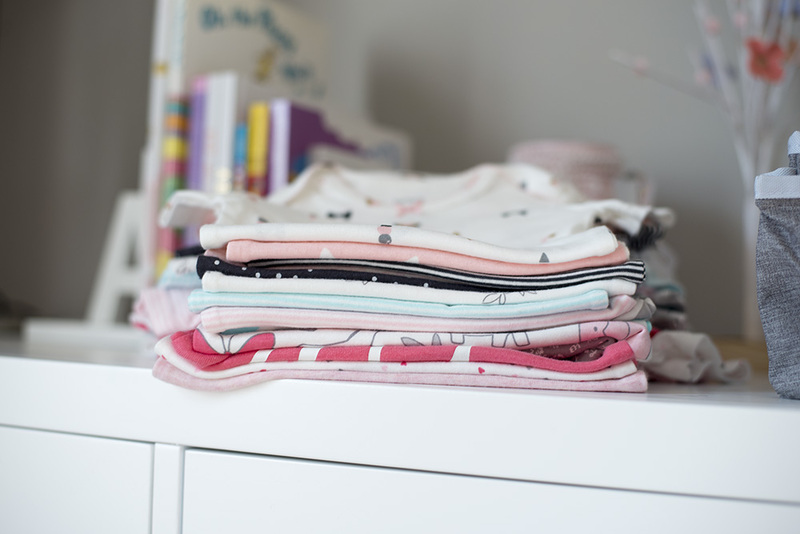 Fold AND put laundry away immediately: Are you guilty of either waiting to fold the laundry until later or taking it to the room where it belongs and just leaving it on the bed? I’m the guiltiest of both of these. However, I’ve found that it makes my life way easier if I fold the laundry immediately upon taking it out of the dryer and then putting it away or hanging up right after. 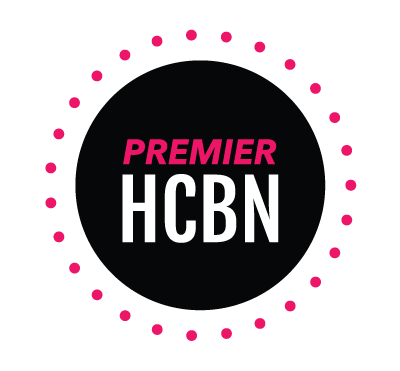 It won’t be sitting there for hours (or days) at a time and will make you feel so much better and more accomplished. Mesh bag for socks: This is one of my favorites. Does anyone else lose socks like it’s their job? Like seriously, where do they go?! Each member of the family gets a mesh laundry bag and puts their socks in the bags when they take them off. Then the entire bag gets washed and dried as is and you’ll never lose a sock again. You can thank me later! 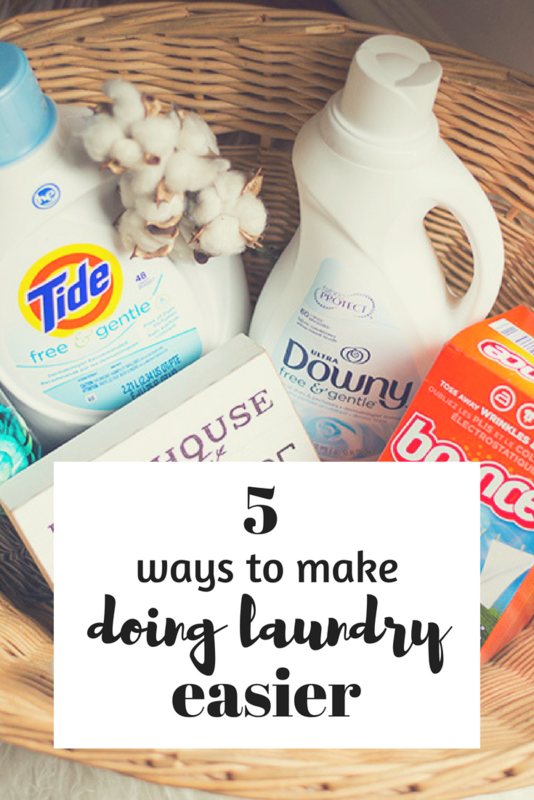 Doing laundry doesn’t have to be as tedious as you might think. My biggest tip? Do it as it starts to accumulate instead of waiting for one day to do all of it. It will be a lot less stressful, I promise! And be sure to head to your local Big Lots to stock up on all of the P&G products you need to keep your laundry looking good and smelling fresh!